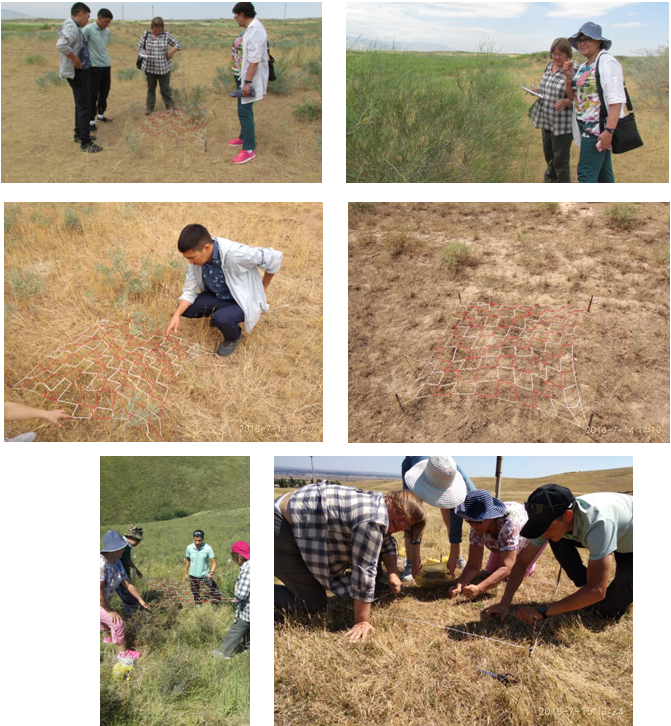 Field research on the project “Geographical bases for managing agricultural development lands in Zhambyl region under the conditions of water resources limitation”. "Geographical bases for managing agricultural development lands in Zhambyl region under the conditions of water resources limitation". The composition of the research team: senior researcher Krylov V. S., chief researcher Basova T. A., senior researcher Makanova A. U., junior researcher Kuderin A. 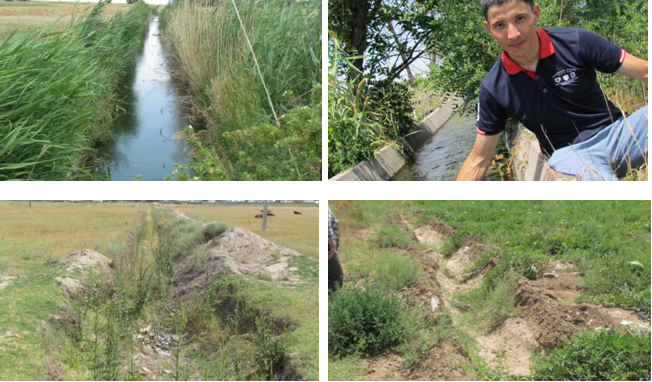 A., junior researcher, Omarov A. N.
- conducting research on the degradation of irrigated and pasture lands in the Zhambyl region, identifying disturbed lands. A group of landscape scientists of LLP "Institute of geography" in the period from July 10 to August 11, 2018 conducted a field survey of land and water resources of Zhambyl region. 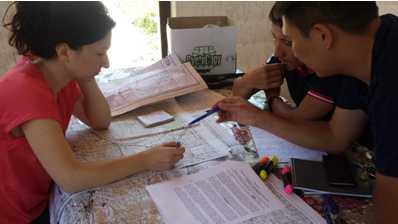 The routes were designed to survey the land used in crop and livestock production in different regions of the region. Thus, the lands involved in agriculture, located in different natural conditions - river complexes, sand massifs and foothills. According to the program of field survey were clarified and described the types and contours of agricultural land (pasture, arable land) and their productivity, identified the sources of their flooding. Particular attention was paid to the sources of watering. 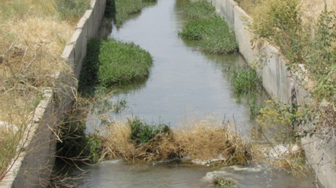 These include all the major rivers of the region, as well as a network of channels designated for irrigation. During the work examined the condition of the shorelines of rivers and channels, etc. 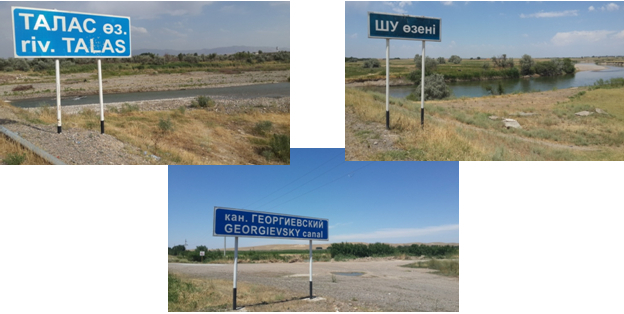 A separate point of the survey was a visit to the Tasutkol reservoir and the main canal (MC) diverted from it, flooding irrigation arrays of the Shu district. 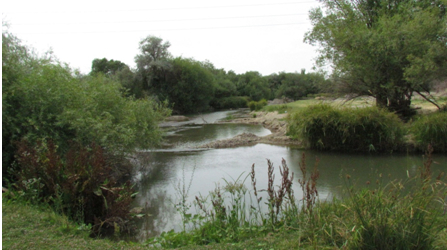 The condition of the aryks of the region is mainly favorable, they are full-flowing. But there are also destroyed and abandoned aryks (in earthen beds). 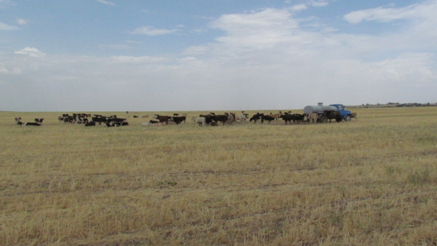 Also, as a result of the measurements, the data on pasture yields, fodder capacity, and fodder stock were refined. All this together allowed us to determine the nature of the disturbance and the degree of vegetation degradation. 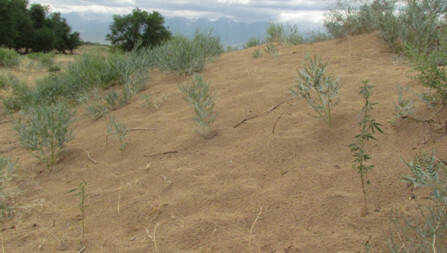 An example of using the Ramensky grid to determine the yield of vegetation of sand massifs and foothills. A total of 51 points were surveyed. In the course of the work, forms of a geobotanical description were filled for both arable lands and pastures, as well as irrigation points and irrigation sources were described. There were also recorded cases of anthropogenic pollution that adversely affect the ecological state of land and water resources. 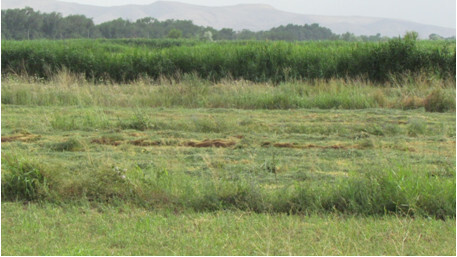 - a complex of works on the study of degradation on irrigated and pasture lands of Zhambyl region and identification of disturbed lands was carried out. The results obtained during the processing of the field materials were reflected in the interim and final reports on the project theme.